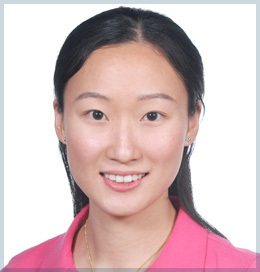 Dr. Wen Yun Ting, is an outstanding physician in the department of plastic surgery in Peking Union Medical College Hospital. She obtained her bachelor’s degree of Microbiology from Soochow University, Taipei, Taiwan, in 2000, and was a molecular biology research assistant in Taipei Veterans General Hospital. In 2008, Dr. Ting graduated from Peking Union Medical College and received the degree of Medicine Doctor. She then trained at Peking Union Medical College Hospital and became an attending of Plastic and Aesthetic surgery in recent years. Her working areas of focus are facial cosmesis, laser therapy, radiofrequency therapy, plastic injection, comprehensive treatment of scars and keloids, treatment of bromhidrosis, excision repair of skin lesions, ophthalmic plastic surgery, and gynecological plastic surgery. She has extensive experience non-surgical approach for treatment of keloid lesions. She has rich experience in treating keloids using intralesional injections and laser treatment, leading to great clinical outcomes. Besides her clinical expertise, she has also conducted clinical researches in keloid treatment and recurrence assessment by blood flow evaluation.